Everyone is different. So why go to one of those "one size fits all" web companies that attracts new customers with the promise of cheap websites that work for everyone? At CyberTycoons, we CONSULT with each of our clients to see what their goals are and then put together a web site and online strategy that accomplishes the most within their budget. We explain the process and educate our clients on the benefits of various features we can add to their online presence in a "what it means to them" approach. Benjamin Franklin said, "The Bitterness of poor quality remains long after the sweetness of low price is forgotten", and that is definitely true of cheap, one-size-fits-all web design. 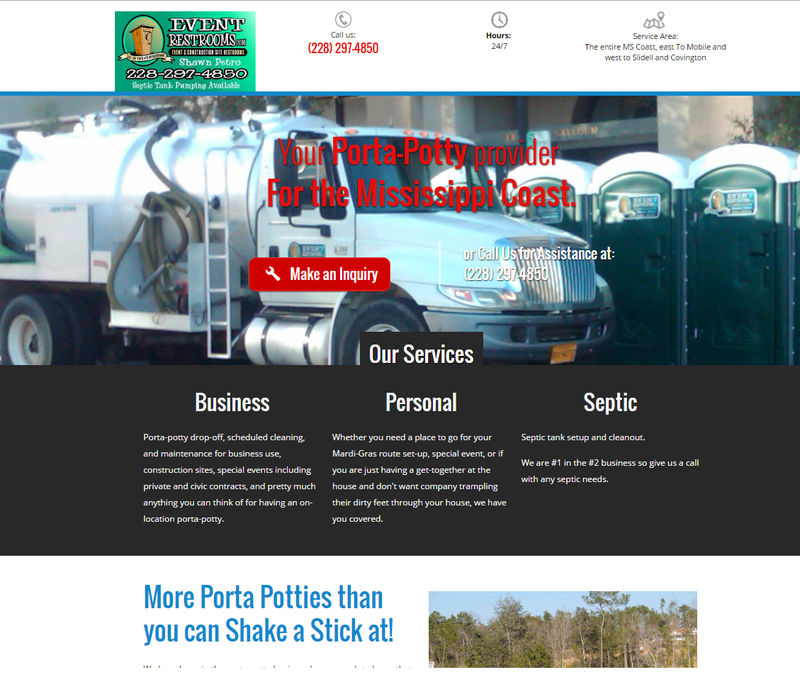 This porta-potty business wanted something quick and easy to showcase his business for type-in traffic. He didn't need a lot of pages so we built a single page site to give his potential customers away to see his services and be able to contact him. This real estate team needed to be able to showcase their homes for sale, get organic click-through traffic from the search engines and wanted to be able to get leads. We added 3 main calls-to-action above the fold, integrated their IDX feed to create SEO friendly and indexable content, and set up an email automation campaign for them. Site also includes a social integration allowing them and their visitors to easily share content across their social channels to bring them more clients. 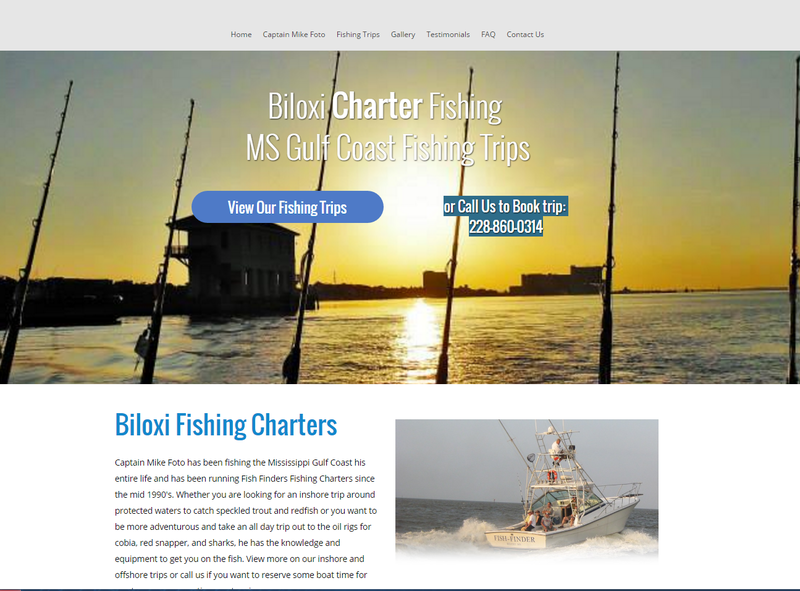 This fishing captain was tired of relying on referrals and word of mouth to get more business. While he definitely did better than most given his many years in the business, we were able to put together a site that reflected the image he wanted to portray and help him generate more leads using regular content to entice readers and search engines to visit. This real estate broker needed a site to display IDX listings in a search engine friendly way, but also needed to showcase her agents and their in-house listings. 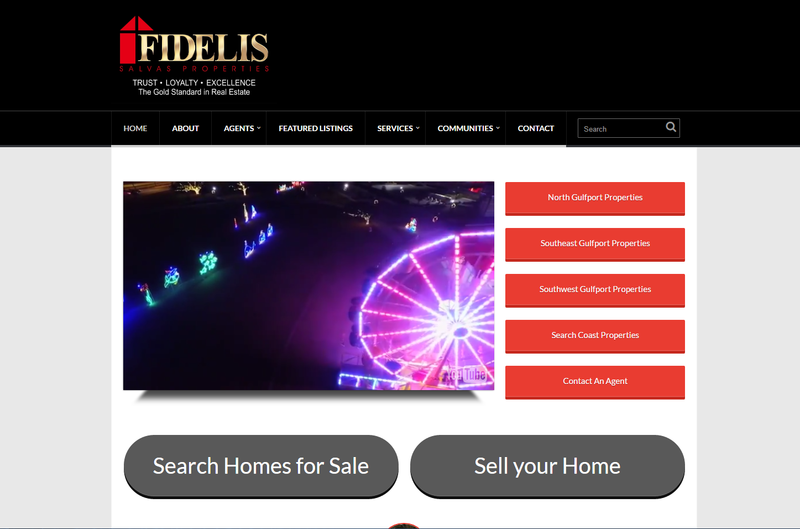 We created community and subdivision pages which discussed the areas and added dynamic listing data to always show the page as fresh with the latest information. Lead generation is generated on every page and every listing on her site. 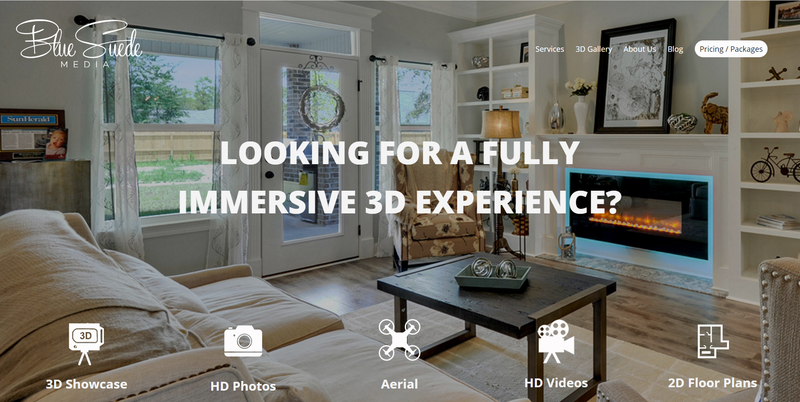 This media company offers 3D renderings for real estate agents/brokers, floor plans, HD photography, and virtual walkthroughs. They needed a site that reflected the high-level technology they used, stood tall against other media companies, and be able to generate leads from search engines and social media in a market that is highly competitive. They are now one of the top providers to real estate agents & brokers in the area. Some real estate agents want a flashy home page and others want a heavily-focused content page. This is a site designed back in 2004 that has remained the #1 real estate presence in the area for more than a decade. 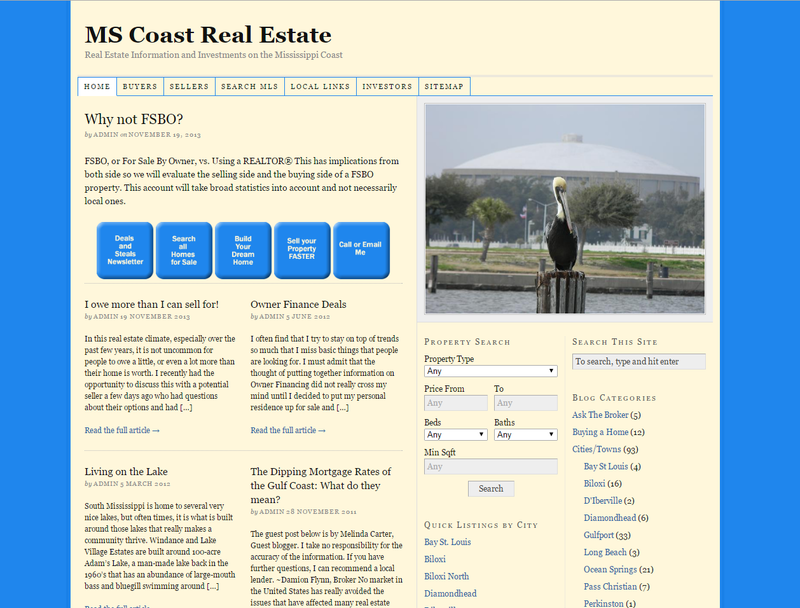 this site was designed by our owner for his personal real estate needs and was recently sold to another broker. We will be redesigning it for his needs soon. After receiving down payment, we build your site to specifications, adding all features, and optimize it for your needs. We both agree that the site is done to specification, you are happy with result, and are ready to go live with the site. Final payment, set up recurring hosting billing, go live with the site, and you share how awesome we are with all your friends.